Welcome to Wapiti Wednesday with Jay Scott. Jay Scott is a fellow podcast host and diehard elk fanatic like me. I love talking to Jay about Elk and elk hunting. 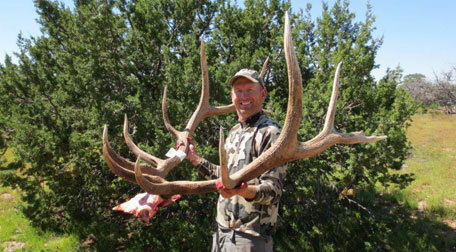 Jay has a ton of experience guiding for true giant elk in his home state of Arizona. I love talking to Jay because I learn something new every time. Arizona is just such a different terrain that many of the tactics they have developed are much different than what I have experience with. I will say, in this episode, Jay talks about moving on moving elk that I think is a crucial skill to learn for ANYONE. Do not overlook this podcast if you think Arizona hunting is not applicable to what you do. Jay and I chat about the keys to moving through elk and this might be one of the single most important skills to have as an elk hunter. Whether you are calling bulls in coastal Oregon or dogging a herd through the breaks of eastern Montana this is invaluable info. We also talk about field judging bulls and Jay shares some tips on how he goes about field judging bulls on the hoof.